CBRocket is our PHP script that allows users to search ClickBank from your site, and also display targeted ClickBank text ads (all tagged with your ClickBank "nickname" - which is their word for Affiliate ID). We’ve just released version 1.02. A new feature allows you to configure the script to use any of 4 different methods to retrieve data from ClickBank. For most people this will make no difference - but if you have a web host who runs a hobbled version of PHP which doesn’t allow fopen on remote sites (and there seem to be some around, particularly towards the cheaper end of the market) - then this offers a work round. The script now works if you have PHP’s register_globals turned off. Again, for most people, this isn’t an issue, but again it makes the script compatible with more web hosting companies. The synonymizing (is that a word?) - basically the method the software uses to find matching items in the search results which contain similar (but not identical) keywords has been improved. There are some new options for configuring the ordering of results (like whether to prioritize MarketingRocket products which include images). The Mini-Links and Auto Mini-Links system (targeted text ads) has been considerably improved. You can set-up a series of "default" keywords which are used to find extra text ads, if not enough can be found using the keywords that you set-up for your page (Mini-Links) or have in your page title (Auto Mini-Links). What’s more, you can provide a list of default keywords for the software to select from a random, so the ads tend to vary ("rotate") each time your web page is loaded. If you haven’t bought CBRocket before, you’ll get the new version automatically, when you buy the script. If you bought CBRocket 1.00 (if you’ve bought it prior to 1st December 2005), then we’ll upgrade you to version 1.02 free of charge. 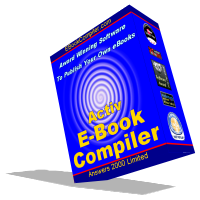 To get the upgrade, please email us at webmaster@ebookcompiler.com. To get the upgrade, you must quote your ClickBank receipt number for the CBRocket purchase in the body of your message. We’ve just released version 2.50 of our free eBook, "117 Ways To Increase Web Site Traffic". This is a big improvement over previous versions, correcting and expanding quite a few points (not to mention some typos), more resources, and well, generally all round just better. If you want to download a copy, go go here for information. 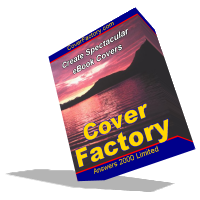 Before you give it copies, you can download the Rebrander (also free), which allows you to customize the eBook. You can insert your own link to your own web site - on every page in the eBook - and also all the links to our company’s products can be coded with your affiliate id. Thus, if one of your readers, clicks on these links and buys a product from our company, you can earn a commission. Our our site AffiliateCavern.com, we review a number of affiliate programs, as well as offer various tips and ideas. One of the things that we tell you (which other affiliate program directories and sites typically don’t) is whether we have been paid yet by a particular affiliate program. We’ve now received our first commission payment from MyTemplateStorage and thus our review of their program has been updated. We’ve also updated our review of TAF Master program. Basically, we’re no longer in this program - at least for now - simply because we left it too long to get started. However, we may rejoin in future, and we still think Focalex is a good company to work with, and TAF Master is an interesting affiliate opportunity.